One panel of the many at Montreal Trust, Richmond Center. 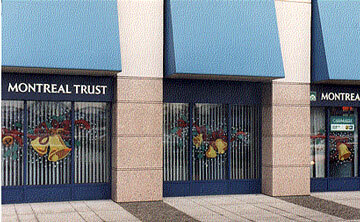 Montreal Trust utilized the many windows at their Richmond Center location for years. 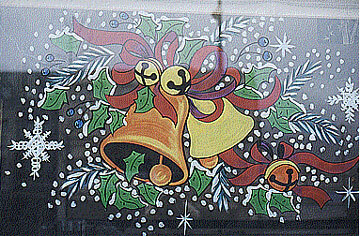 Each year we presented them with a new theme, thus giving the entrance to the Mall a unique and very festive appearance each year. In this world of continued corporate expansion, we feel it is important to continue to add those personal touches at this time of year to make a complimentary connection with the public.